Your garage door is one of the most used features of your home. Keep it up to date with LiftMaster’s newest wall-mount technology, the 8500W garage door opener. Complete with DC battery backup, this Wi-Fi capable wall-mount opener will make your garage the talk of the cul-de-sac. If you’re looking to upgrade your garage door access system, look no further than the 8500W. As the newest model in the LiftMaster lineup, the 8500W provides the power of a traditional LiftMaster in a compact model. The 8500W is LiftMaster’s most advanced wall-mount garage opener. With your garage opener mounted on the wall, the overhead space in your garage is completely freed for storage. The sleek, wall-mount design is a mere addition to your garage, not a bulky obstruction. The 8500W comes with built-in Wi-Fi, which makes connectivity a breeze. The MyQ mobile app and Remote LED light make using your garage opener easy and convenient. The wall-mount design and quiet DC motor reduces noise, vibrations, and clunking typical with a standard overhead model. Not only does the 8500W get the job done, but it does so with style–and LOTS of bonus features! The 8500W comes with DC battery backup and Wi-Fi connectivity to ensure that your garage opens even when the power goes out. Don’t let its size fool you. The 8500W is powerful, able to operate doors up to 850 pounds. The 8500W has a lifetime motor warranty, five-year parts warranty, and one-year battery and accessories warranty. Complete with features like timer-to-close, which automatically closes your garage after a set amount of time, motion detector, which turns on the garage light, and the Protector System®, which auto-reverses the door if it’s obstructed, the 8500W is the safest model on the block. MyQ Remote LED Light operates automatically with your opener and communicates with the MyQ app. Integrated battery backup kicks in when your power goes out, ensuring that you can open your garage door no matter what. Automatic garage door lock automatically deadbolts your garage door every time it closes. 3-button remote control allows you to operate up to three garage door openers or MyQ light accessories. Smart Control Panel® features an LCD display and allows for easy programming. Each of these bonus features is included with your purchase of an 8500W. 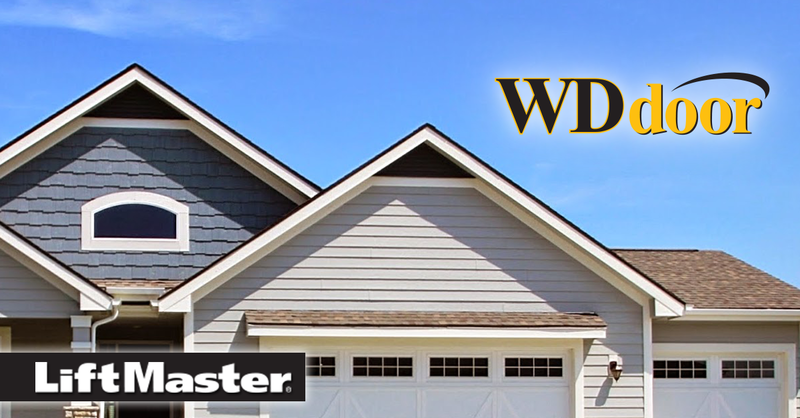 If you need a new garage door operating system in the Des Moines area and you're interested in the 8500W or another LiftMaster garage door opener, contact us! For more than 25 years, we've been a trusted dealer of residential garage door operators. Request a free quote today.